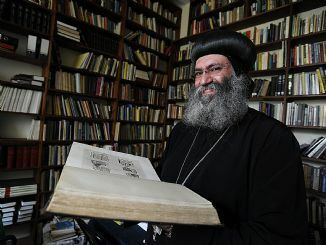 IN a world first, the Coptic Orthodox Church’s theological college in Donvale has been accredited as an educational institution. St Athanasius Coptic Orthodox Theological College in Park Rd is now a registered teaching institution of Melbourne’s MCD University of Divinity. The first Coptic college in the modern world to be officially accredited, it will offer a diploma in theology this year and already has attracted 30 enrolments for the first semester. Among the topics covered by the degree will be Coptic history, New Testament and Old Testament studies, Coptic iconography, religious education and youth ministry. Four years in the making, the achievement has largely been driven by Bishop Anba Suriel. Student Silvana Rizk is excited about undertaking the degree, which she hoped would lead to a master’s degree in theology. “It’s great to get that deeper way of thinking,” Ms Rizk, 25, said.